NEW Stainless steel three head tower. 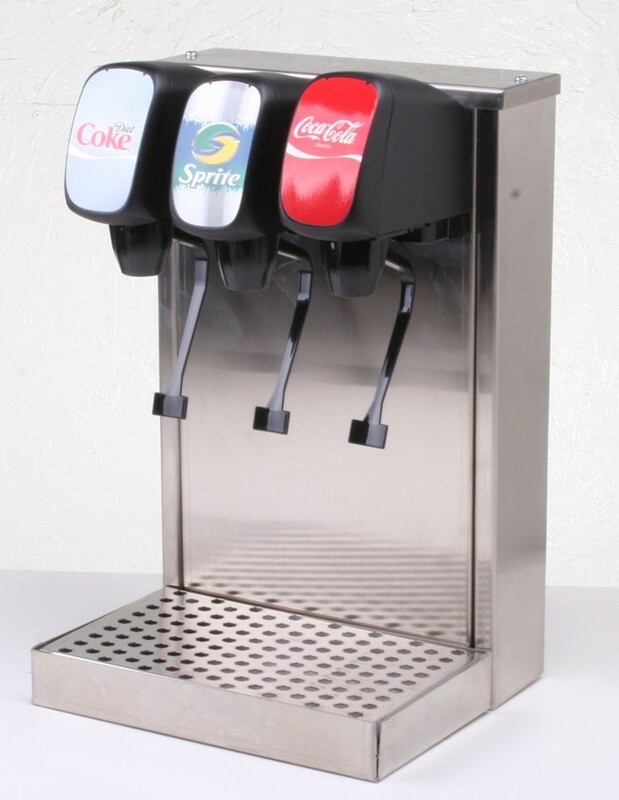 Easily installs in numerous locations, because of it's compact size (20.5" D x 15" W x 18.5" H) it will blend in a variety of settings without eating up valuable counter space. 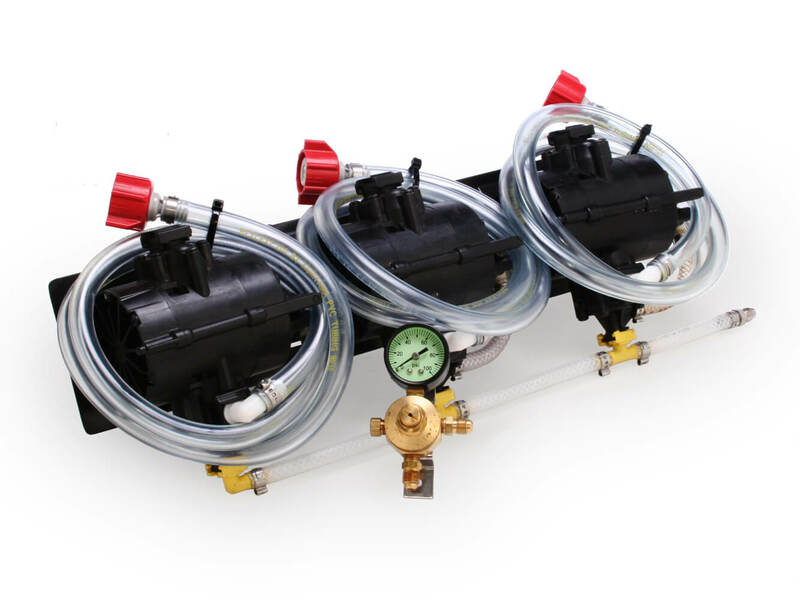 Three remanufactured dispensing valves for post mix bag-in-box beverages. 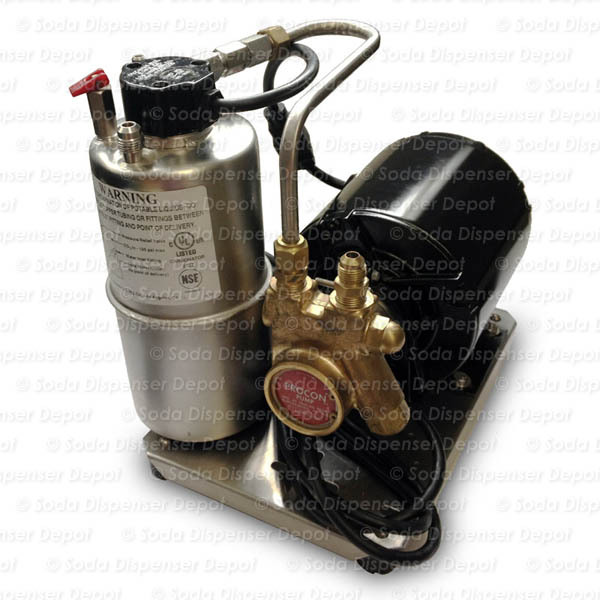 One of the valves can have a secondary water lever for soda water or plain water only. Simple to hook-up (we've done all the work for you). The lines have been tagged and professionally pre-assembled for easy installation. 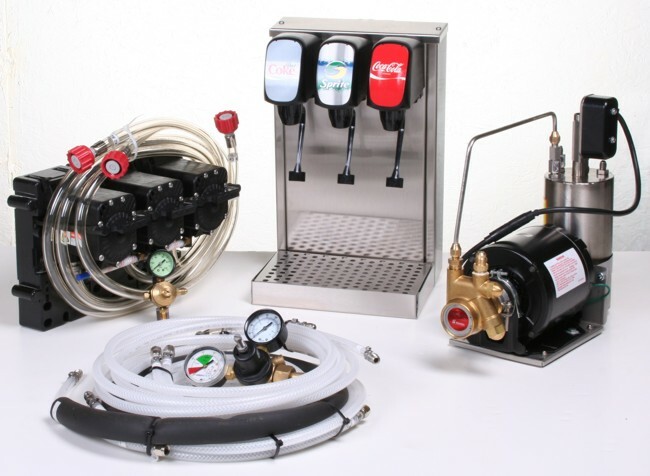 What is included: Three (3) syrup pumps mounted on a pump holder, complete set of CO2 regulators, BIB connectors, carbonator, & a remote cooling system (20.5" D x 15" W x 18.5" H). 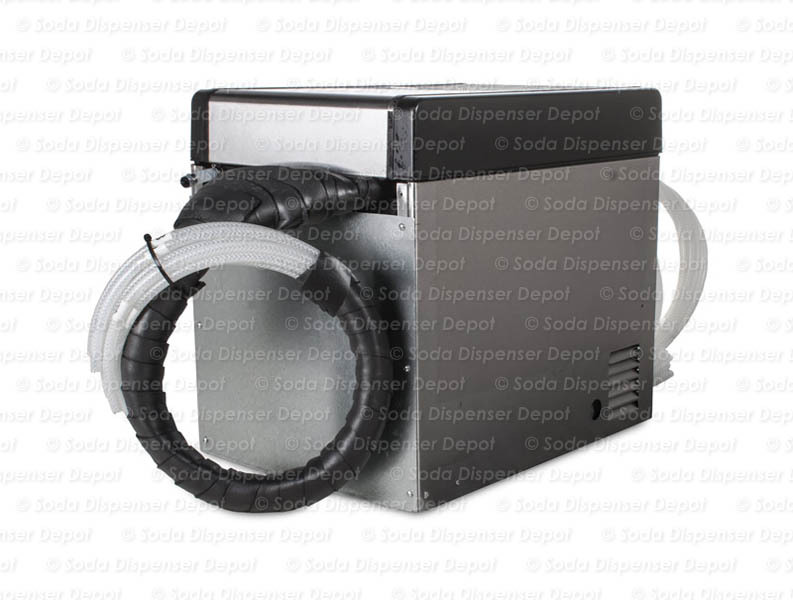 Remote cooler eliminates the need for cold plate or ice. 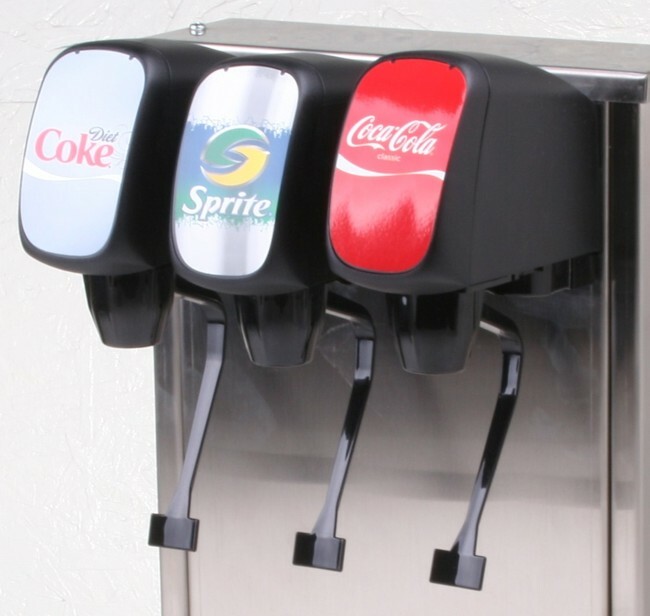 Can be installed under your counter. Runs quiet. System is set up for handling 3 separate flavors. We offer FREE phone installation support and a pdf manual with a start up video for easy installation. We will help you locate syrup & CO2 in your area!!!! This is a remanufactured system. All the tubing is new. We pressure test, performance test, and bring each component back to manufacturer's specs. The components were previously used so they may have minor dings and scratches due to normal use.